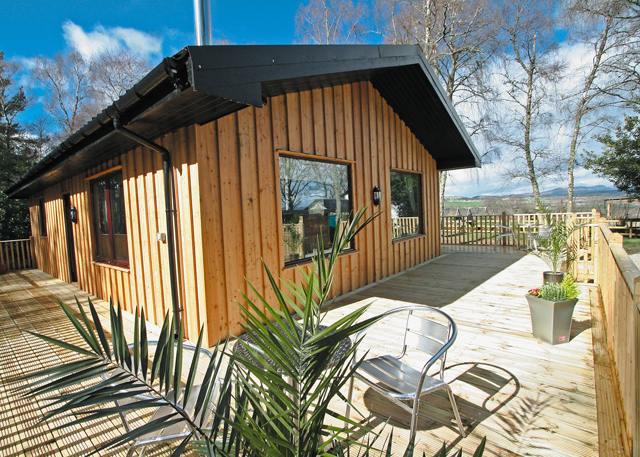 Wildside Highland Lodges (Whitebridge ) - Wildside Highland Lodges are set in idyllic woodland on the banks of the River Fechlin, deep in the heart of the Highlands. 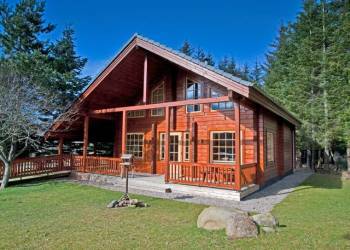 The perfect retreat for creating cherished family holiday memories, Wildside is the best of traditional Scotland married with the ultimate luxury escape. 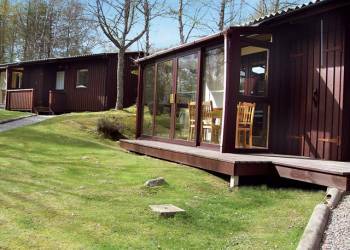 Mountain Thyme Lodge (Spean Bridge ) - In a wonderful setting (right photograph) right by the shingle beach of magnificent Loch Lochy in the Great Glen with access to good roads makes this ideal for exploring the Highlands. The loch provides excellent fishing (free from March to October). 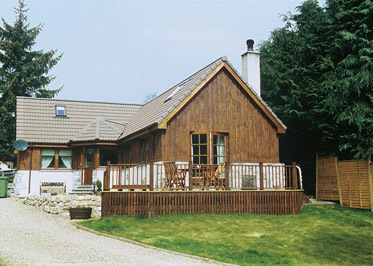 Nearby for hill walking pony trekking skiing (in seasons) golf and cycle trails. Boat trips and scenic steam train rides at Fort William or discover good restaurants and views over the Caledonian Canal lock gates at Fort Augustus (both 17 miles). Hotel with bar and restaurant 200 yards. Shop 7 miles. 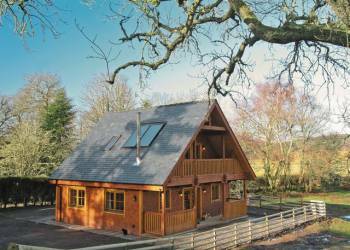 Fearnag Lodge (Farr ) - With far reaching views this newly built substantial lodge set on a livestock farm boasts many forest tracks from the doorstep to explore by foot cycle or horse. Spacious and very comfortable furnished with cathedral style ceiling and master bedroom opening onto a balcony. Many archealogical sites on the farm with Culloden Battlefield 9 miles. RSPB reserve 3 miles Loch Ruthven home to rare Slavonian Grebes. Inverness 9 miles with city attractions and Loch Ness. Glenmore Cottage (Carrbridge ) - Tucked away in a quiet village street within a short stroll of a good choice of shops pubs and restaurants this very comfortable detached property is ideally located for exploring the new Cairngorm National Park. Forest walking can be enjoyed from the door and the RSPB reserve at nearby Loch Garten offers the chance to observe ospreys. 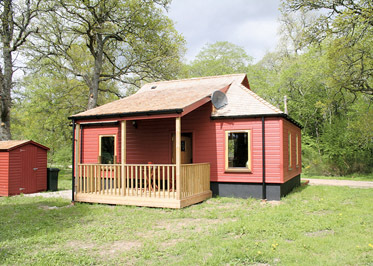 Carrbridge boasts a Visitor Centre and adventure playground and winter sports clay pigeon shooting off road driving fishing and watersports are all available close by. Aviemore 7 miles. Beaufort Estate (Beauly ) - Historic home to the Clan Fraser for generations this most beautiful and renowned of Highland Estates with its ancient specimen trees and abundant wildlfe is the glorious setting for the six charming properties we offer here. 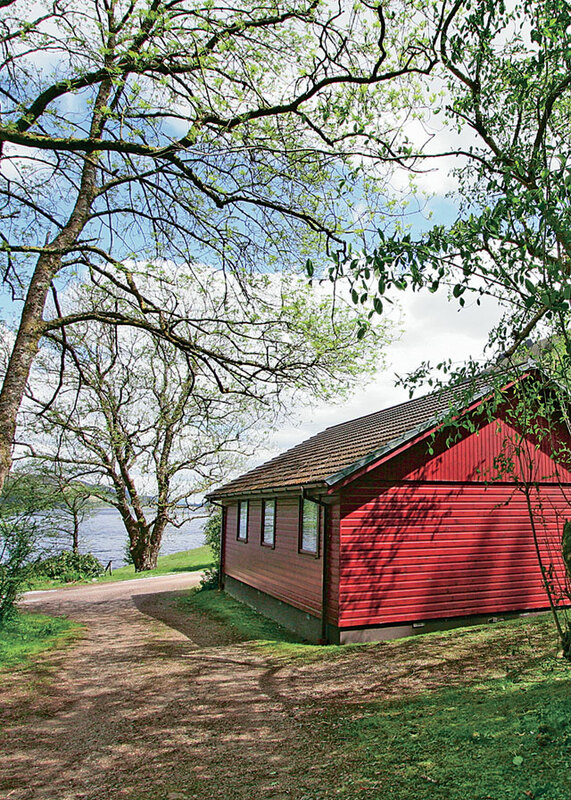 Ness Castle Lodges (Inverness ) - Nestling on the banks of the River Ness in the beauty and tranquillity of the Ness Castle River Estate yet just 2 miles from the city of Inverness, these three fabulous properties enjoy gorgeous views across the river and direct access to paths leading to Loch Ness itself. 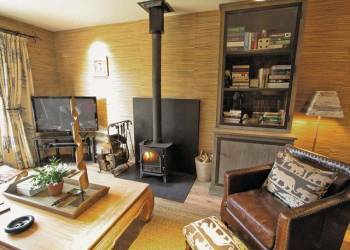 Lovat Highland Bothy (Wester Lovat ) - Set above the Beauly Firth with far reaching views across to Ben Wyuis from this spacious and well presented lodge. Although the owner lives next door the property still enjoys quiet and private surroundings with a woodland to the rear and an attractive wide deck.